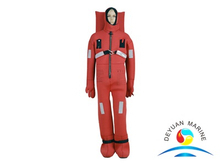 Immersion suit is a special type of waterproof drysuit that was designed to protect a person from hypothermia after long term immersion in cold water . 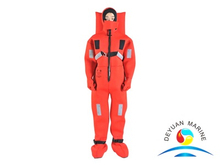 Its material is reinforced neoprene (5mm thickness) in bright(red)color ,every crew member require to have their own one in appropriate size that can be worn in emergency situation. 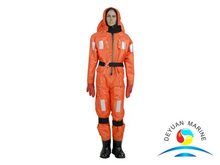 Our immersion survival suits comply with latest SOLAS requirement,come with EC or CCS certificate. 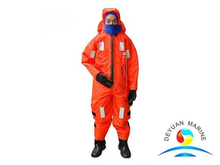 warmly welcome you to contact our sales team to get more details.